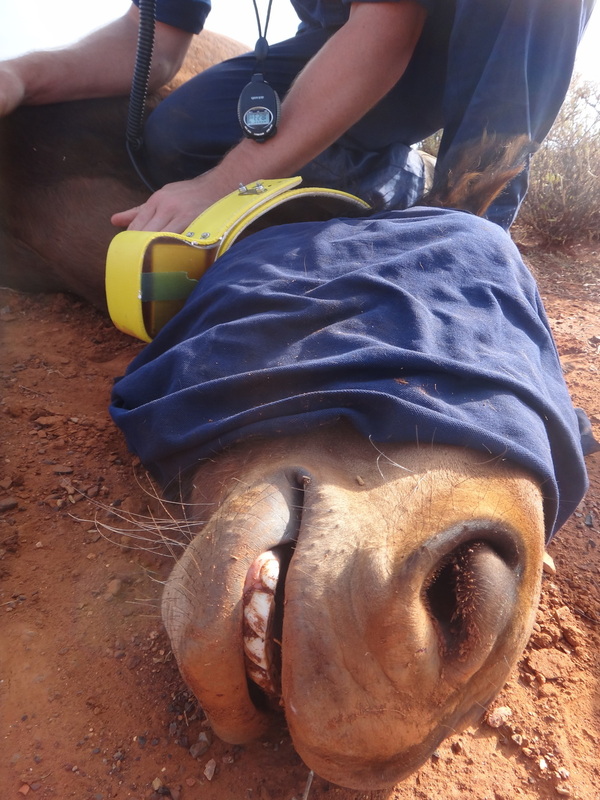 Ecotone Wildlife Veterinary Services delivers public training courses for chemical immobilisation ('darting' or 'tranquilising') in Western Australia and offers tailored courses Australia-wide. The use of veterinary chemicals to safely capture animals can be applied to wildlife species, feral animals, livestock, and aggressive dogs. Our staff have wide experience with chemical immobilisation methods and developing extension modules. We have been responsible for developing and publishing novel immobilisation methods for many Australian species, including feral donkeys, feral camels, feral cats, free-ranging cattle, and feral horses. More information about our publications can be found here. For information about upcoming public courses or to discuss tailored courses, please contact us. Our training courses cover theory and practical elements. We offer practical training with a range of modern equipment, in a safe environment. Particular focus is placed upon operator safety, animal welfare, and appropriate equipment selection. Our courses are suitable for veterinarians, researchers, zoologists, livestock managers, and council animal management officers. Our course presenters are experienced veterinarians that have Certificate IV qualifications in training and assessment. We are able to design tailored courses for groups with special interests. For queries relating to course content, or tailored courses, please contact us.